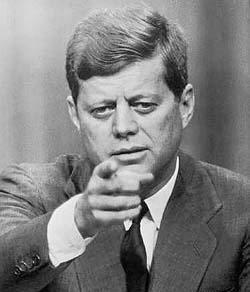 Happy birthday to a war hero, former President, and among the last of a dying breed of gunslingers. Many are fond of quoting him, but take a quick minute to reflect on this day: What would it mean if you took these words personally? How would you change the way you live your life, if at all? What if these exhortations were delivered personally, to you directly and no one else? No answer required, just the thought. Now the trumpet summons us again -not as a call to bear arms, though arms we need; not as a call to battle, though embattled we are-but a call to bear the burden of a long twilight struggle, year in and year out, “rejoicing in hope, patient in tribulation”-a struggle against the common enemies of man: tyranny, poverty, disease, and war itself. […] The energy, the faith, the devotion which we bring to this endeavor will light our country and all who serve it-and the glow from that fire can truly light the world.